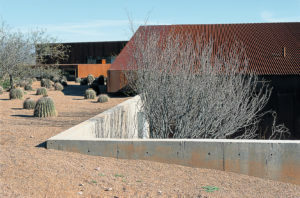 On approach, the gravel drive reveals the glazed ends of two forms and a garden of barrel cactuses. 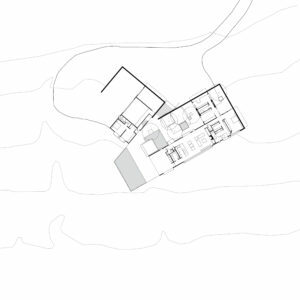 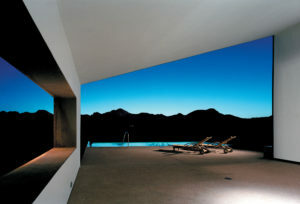 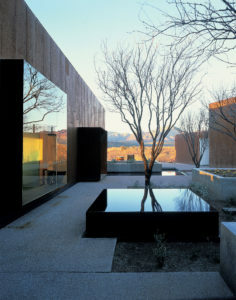 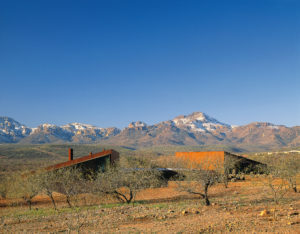 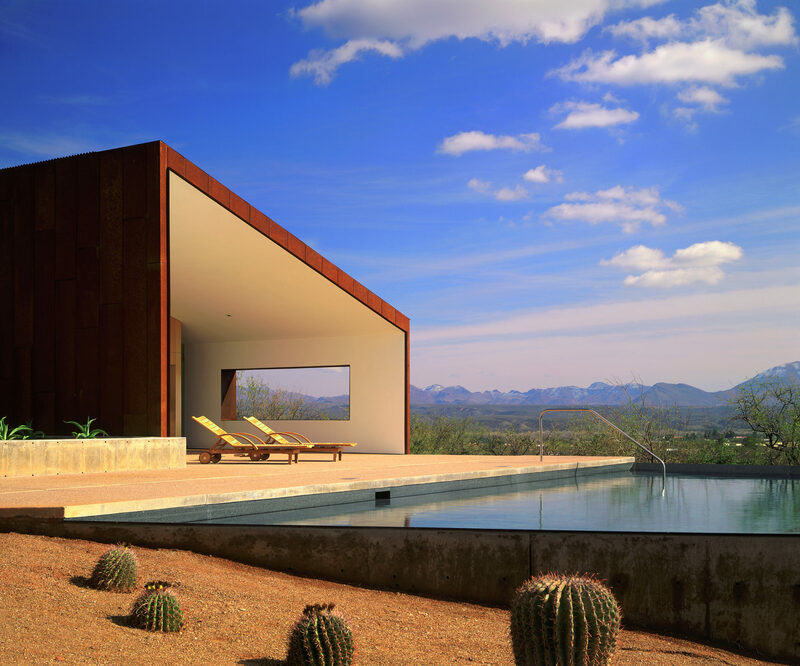 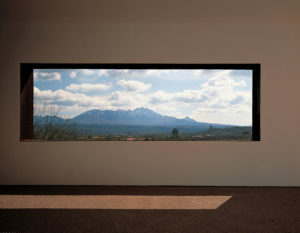 The co-positioning of the two simple shed volumes creates a large linear courtyard below which provides relief from the expansive setting and offers a framed views of Tumacacori Peak. 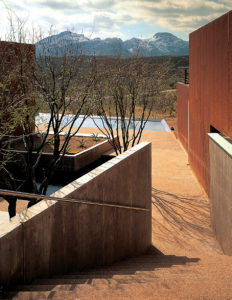 The decent down gives way to the protected courtyard, where cool, shaded areas, reflections, trickling water, hummingbirds, and the smells of fresh sage and flowers provide respite from the wild beyond. 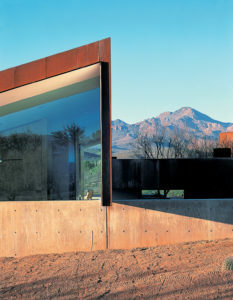 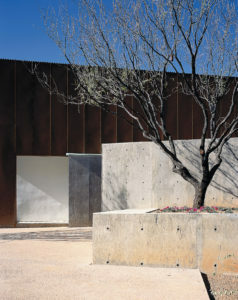 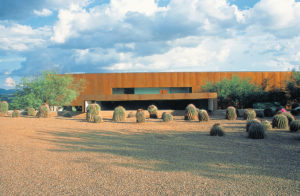 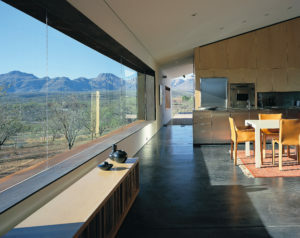 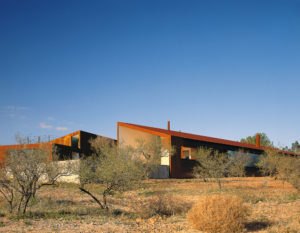 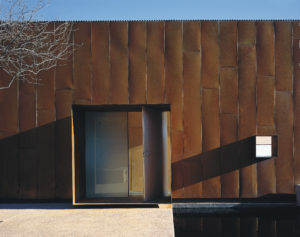 The coarseness of the rough steel exterior contrasts with the refinement of the interior palette, and protruding steel box window forms frame specific views of lightning storms and numerous iconic distant mountain forms or “Sky Islands” as we Sonoran Desert dwellers call them.